Cathedral of Junk ~ Austin, Texas - R We There Yet Mom? 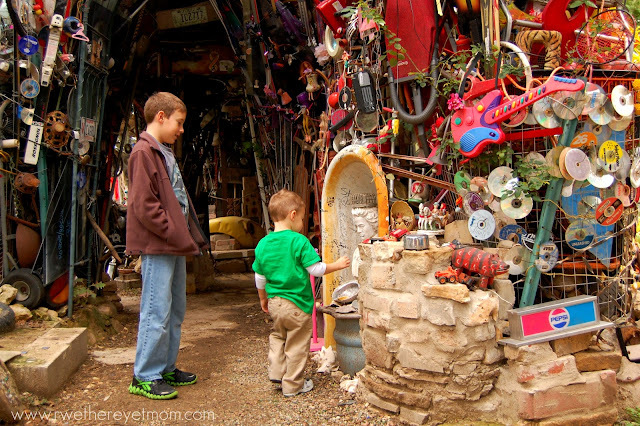 Yep, you heard me right – Cathedral of JUNK. Now wait Rebecca, isn’t that just a fancy name for the Junk Yard? Or my neighbor’s garage?? 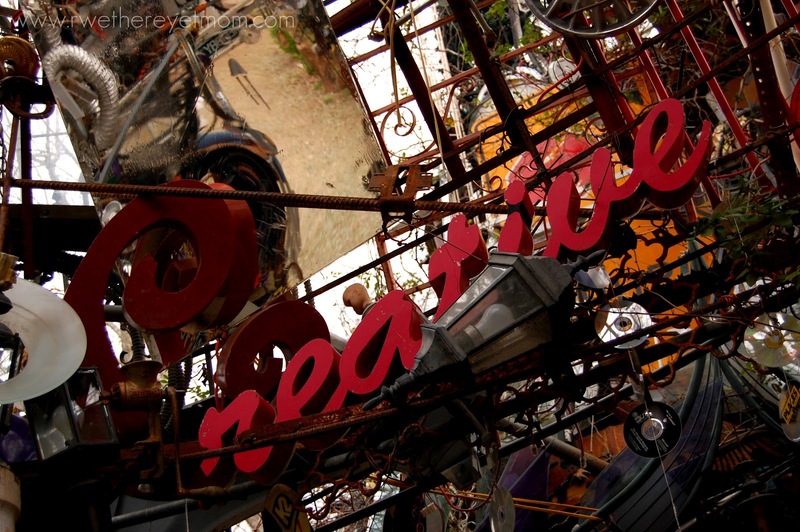 When you first arrive, you are overwhelmed with the enormity of it all – the fact that it is all built out of stuff that you & I threw away as junk and this artist made it into a work of art. 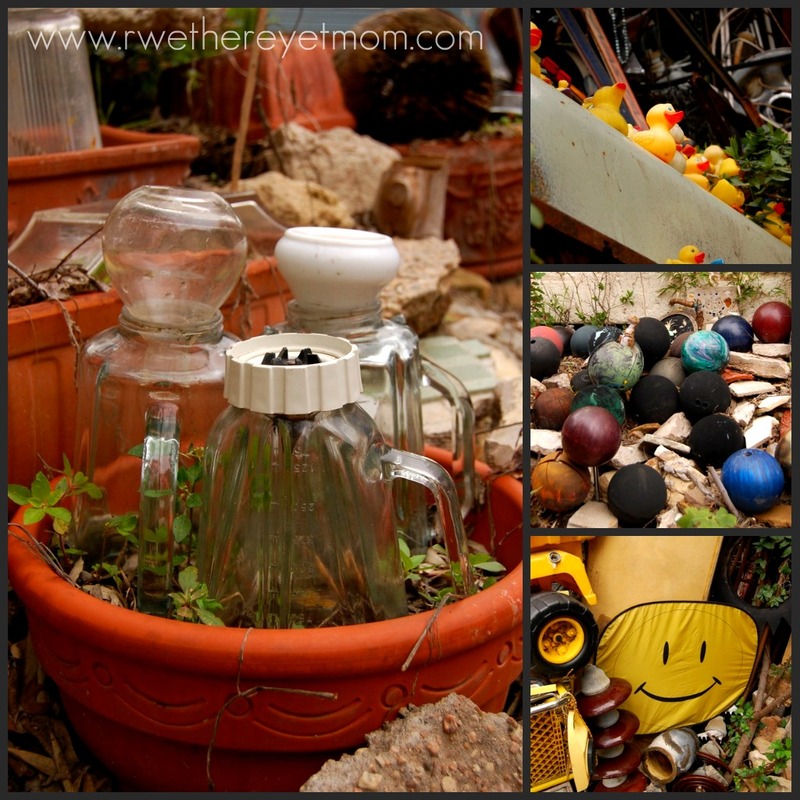 Surfboard, tires, cd players, toys, bowling balls, motorcycles, glass bottles….the list goes on and on. 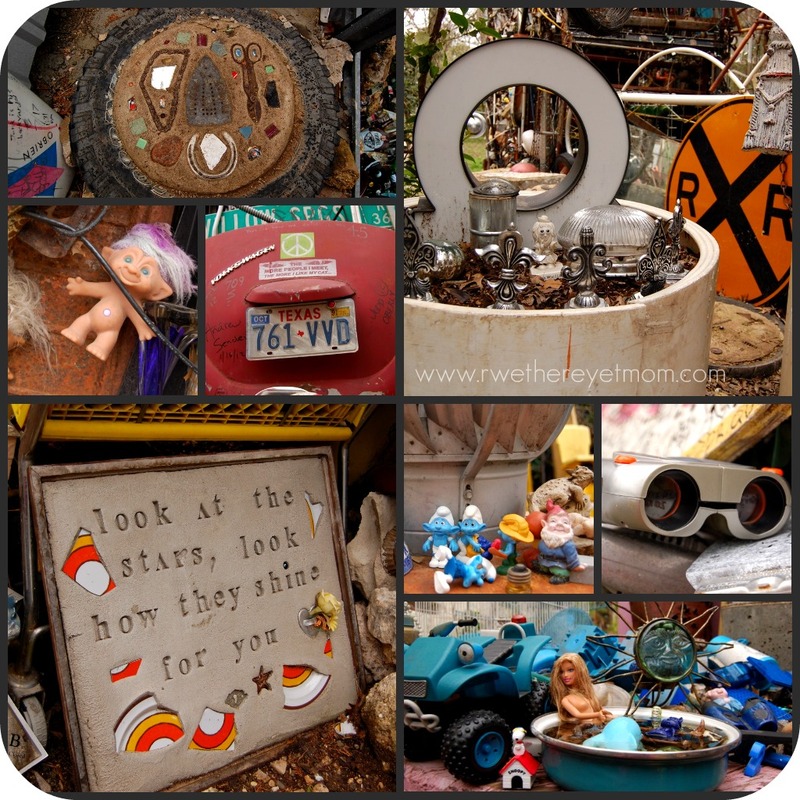 Get real close and look around you – everywhere you look you are overwhelmed with nostalgia. I must have walked past this one area 7 times and each time I saw something new. The fact that art is made out of someone’s else’s junk was fascinating to the kids. They loved exploring, as the Cathedral is 3 stories high (it’s very sturdy). 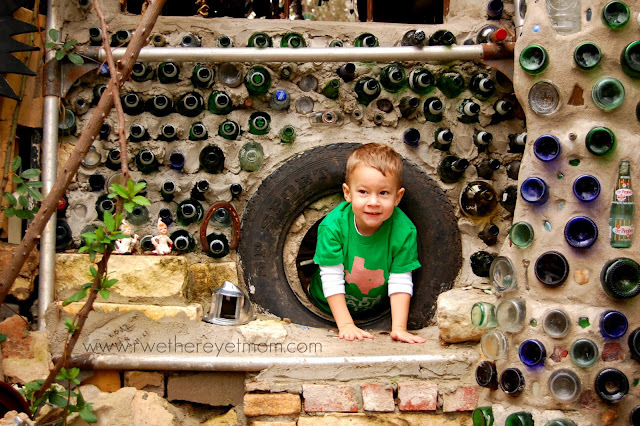 With rooms and passageways, my kids were kept busy finding new and amazing things to point out. We also enjoyed finding fun photo opportunities….. The unassuming artist, Vince Hannemann, was working on a “restoration” of the Cathedral when we visited. 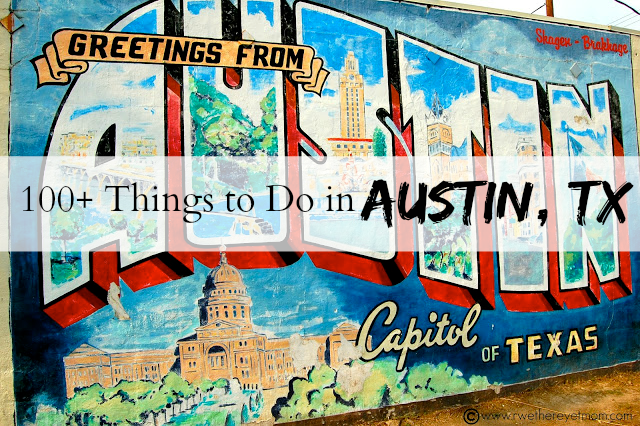 Facing neighbor complaints and regulatory concerns from the City of Austin, Vince began tearing down the 33-foot tall tower in June of 2010. 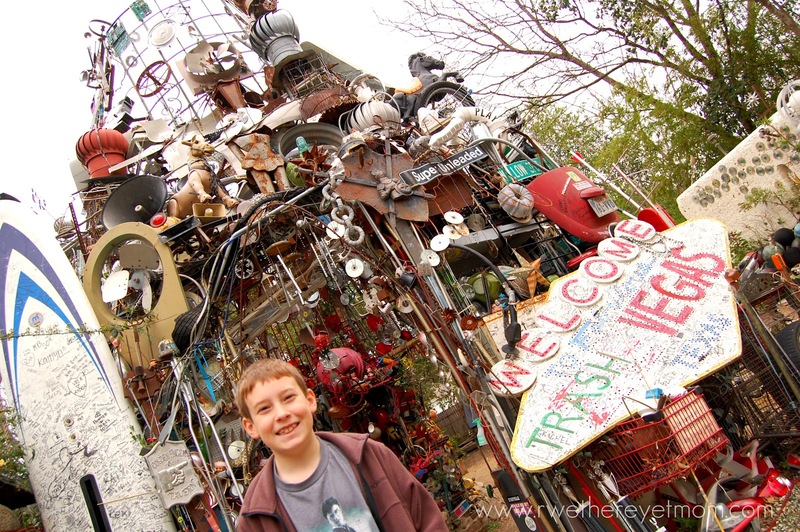 Over 100 volunteers spent 7 months getting rid of over 40 tons of junk and rebuilding it to the structure it is today. To learn other creative approaches to trash reuse, check out mfa degree to find classes that can teach you about the concept of recycling and the art of junk. 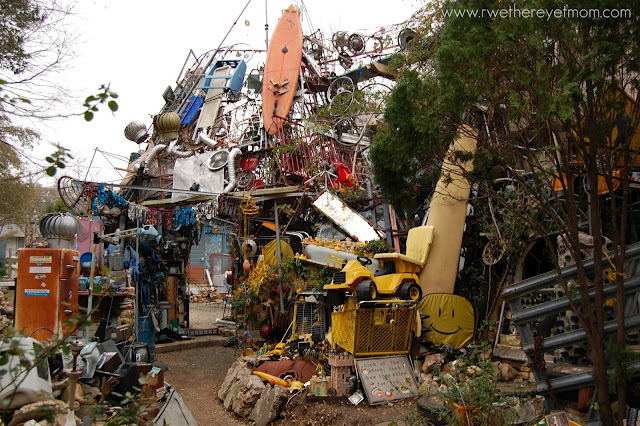 To him, it’s a tree-house of sorts, built lovingly with junk people bring him. Vince is down to earth and we had a great time hearing how it was built, how it has evolved and funny stories of weddings and plays and other unusual events that he hosts….in his backyard. How often can you say you talked to the artist kids? Since it is in his backyard, he doesn’t post hours and he doesn’t charge an admission (but a donation is sure nice!!). He is around on the weekends to accommodate visitors. But you can also give him a call during the week and set up an appointment like we did – we had the place to ourselves the whole time! That really is pretty cool. I’ll bet you’re pretty careful about throwing anything in the garbage once you’ve visited there. 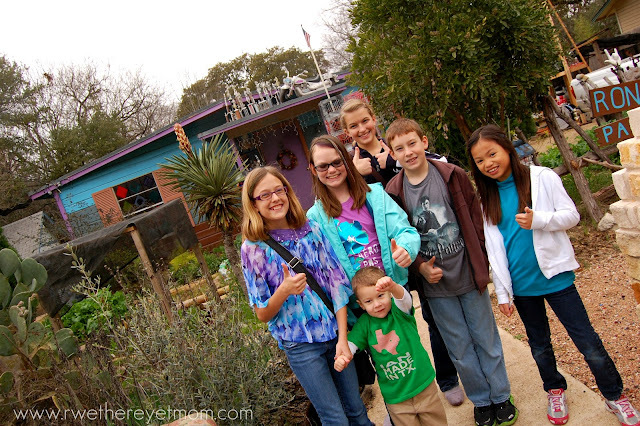 My kids and i love this place! The owner is super friendly and laid back and I love what he’s done with his house out front as well. He says the COA gives away buckets of that crushed glass gravel he has sprinkled around – wish I could find a use for that at my own house. This is amazing. 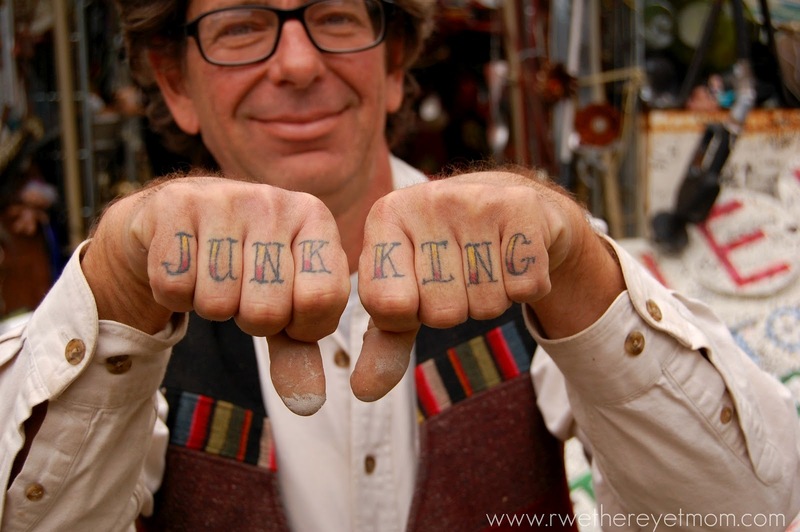 Being a junk lover, I have to get to this place. I bet your kids had an amazing time!